1 fence have been appeared and all icons what is inside of this fence, i cant add new icons to my desktop, its saying this "You already have this icon on your desktop" So can someone help me? Sorry to hear you are having issues. Most probably because it was accidentally send to another desktop page. 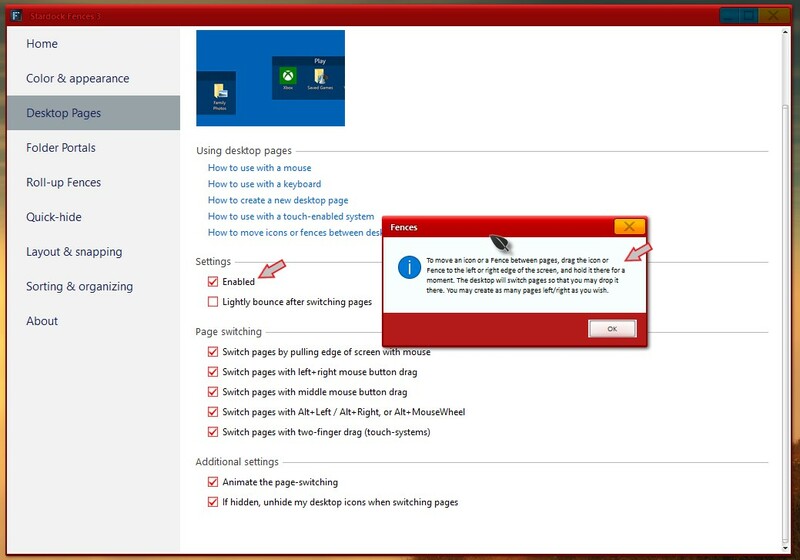 Turn off desktop pages. (un-tick that box). That should bring back that fences to default page 1. Great, glad it work for you.